Successfully Added Touch Control LED Desk Lamp - 5Wm 700Lux, 5 Dimmable Settings, Warm Light, Cold Light, Natural Light to your Shopping Cart. 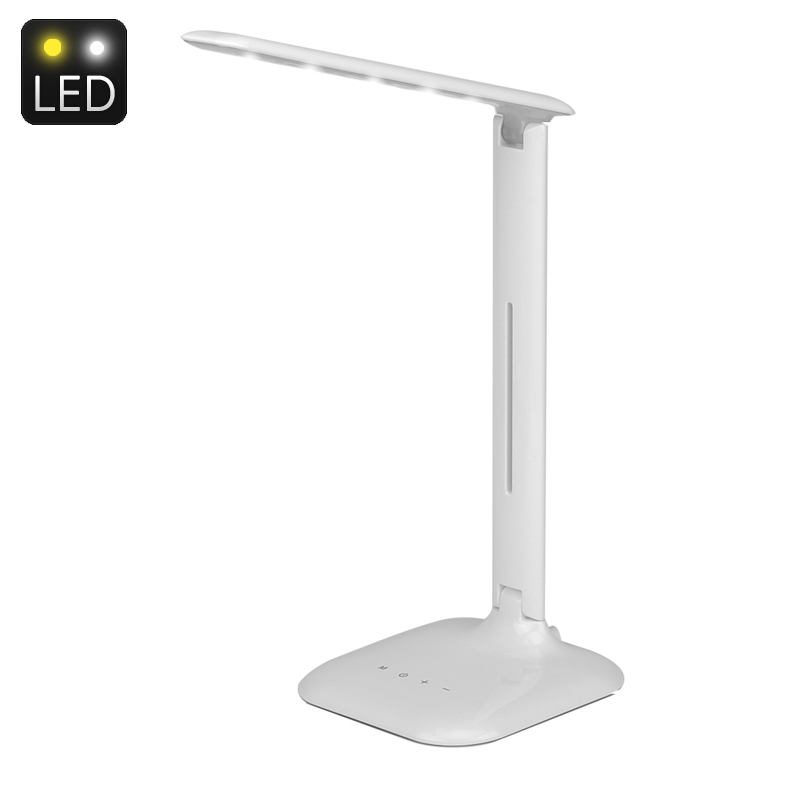 This 5W LED touch controlled desk lamp brings cold, warm or natural lighting illuminating your work area for any task. Whether completing homework, filling in a crossword puzzle or reading a book - this 180 degree adjustable LED desk lamp brings 3 light setting for the perfect illumination in any setting. The LED light has a special diffuses that covers the LEDs to eliminate glare from any angle. this will protect your eyes from harsh light and ensures a soft bright light. There are 5 dimming steps for the light settings so you can set the brightness required for your needs. With touch button controls you can easy switch between the different color temperature options. Warm 2800- 3300K, Natural 4000-5000K or Cold 5000-5500K color temperatures. The mains powered LED light uses just 5 watts of electricity and the long life LEDs produce 700 lux of lighting. This LED desk lamp comes with a 12 months warranty, brought to you by the leader in electronic devices as well as wholesale LED lights..